This lightweight drawing tool is loaded with high-performance features. The Tikky by Rotring Mechanical Pencil has a brass mechanism that assures precise lead advancement. 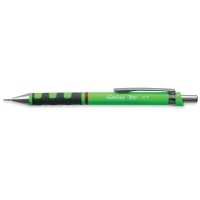 A fixed lead guidance sleeve prevents breakage and offers an unobstructed view of the page for precise drawing. 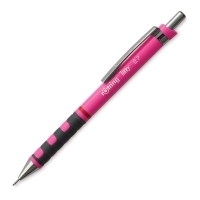 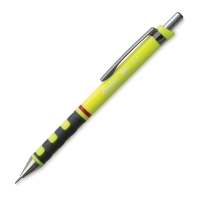 Other features include a rubberized grip for a firm hold, and a push-button cap that protects the built-in eraser. The Tikky Mechanical Pencil comes loaded with high-polymer 0.7 mm HB leads. 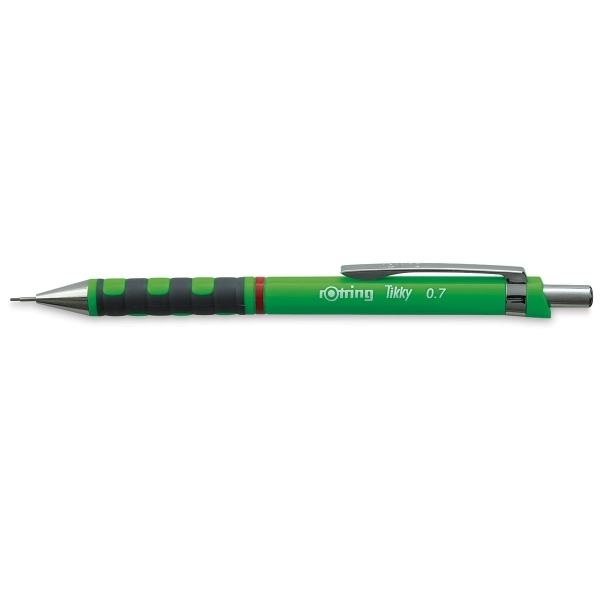 ™ Rotring is a trademark.